Successfully Added 4CH DVR With 10 Inch Screen - H.264, D1 Resolution, HDMI Port to your Shopping Cart. 4CH DVR with 10 Inch Screen that boats H.264 video compression, D1 Resolution and a HDMI Port making this DVR a compact and diverse security tool. 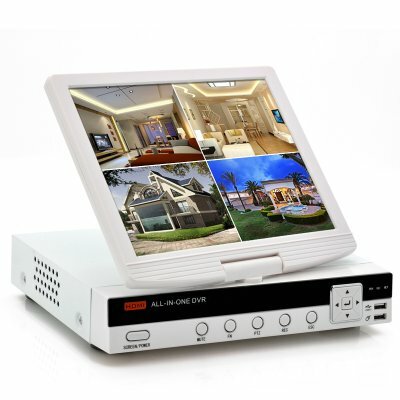 Boost your security with this DVR that has a twist out 10 inch digital LCD screen. Due to the portable design, the LCD screen is connected to the DVR by a fixture that allows plenty of movement and adjustability, also once not in used can be twisted and folded down to protect the screen from damage. Better yet, your video feed comes direct on the screen rather than having to buy a seperate LCD screen to see what is going on. Ideal for on the job security and easy to set up, this DVR can show up to 4 channels of different activity. With H.264 video compression, the video records at a lower bit rate but with higher quality, which just means better video and less storage required. H.264 is a standard for video compression, and is currently one of the most commonly used formats for the recording, compression, and distribution of high definition video. This 4 Channel DVR even has a SATA port that allows you to insert a harddrive of up to 2TB, which is a hell of a lot of memory for backing up any data. Also with D1 resolution you get a clear recorded video that lets you see exactly what is happening. This DVR even has a HDMI port, which is a compact audio/video interface for transferring uncompressed video data and compressed/uncompressed digital audio data from a HDMI-compliant device to a compatible computer monitor, video projector, digital television, or digital audio device. HDMI is a digital replacement for existing analog video standards and also is one of the best connections on the market today. Connect via your mobile phone and watch the live stream footage directly to your mobile phone where ever you are. 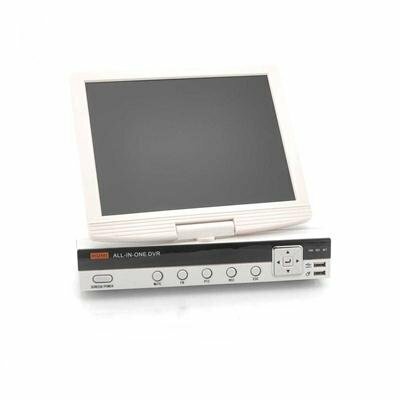 Overall this DVR is considered as an ‘All-in-one” DVR due to the necessary features and specifications that come with it. This product is in stock and can be dispatched within 24 hours of ordering with a 12 month warranty. Brought to you by the leaders in wholesale electronics and DVRs, Chinavasion.